For stiff boots, the right fit is key to comfort. 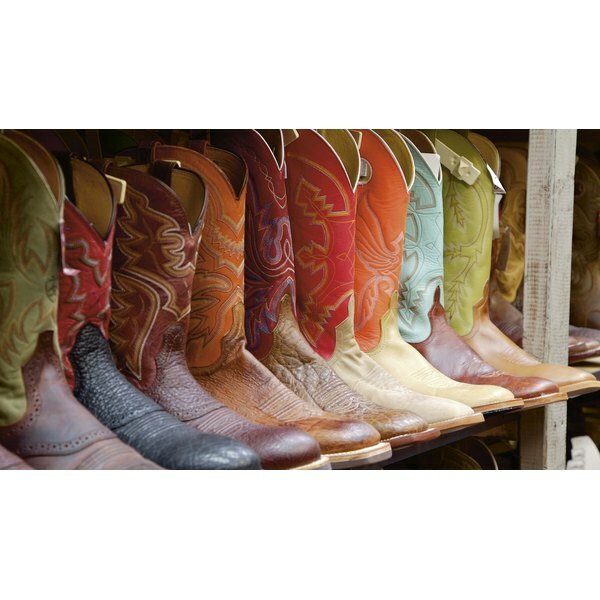 Cowboy boots exude rugged individuality -- over time, genuine leather models form to your feet, so that each shoe becomes personalized to its individual wearer. To start this process off on the right foot, you need as good a fit as possible. Rather than relying on your loafer or running shoe size, take accurate, custom measurements by doing a bit of tracing before you head to the shoe store. Put on the type of socks you plan to wear with your cowboy boots, and lie a large, sturdy piece of paper flat on the ground. Position a chair in front of the paper and have a seat. While sitting, place your foot in the center of the paper. Trace the outline of your foot on the paper, holding a regular pencil perpendicular to the sheet. Take your time, and stick as closely to the outline of your foot as possible. Use a measuring tape to record the length measurement, in inches, from the highest point of your big toe to the lowest point of your heel. For the width, measure the horizontal line spanning across the balls of your feet where they're widest. Subtract 0.2 inches from each figure to account for the pencil's thickness. Convert the length measurement from inches to a standard U.S. boot size using a boot length chart, available for reference at many cowboy boot retailers online and in stores. These charts give the corresponding male and female boot size for each inch measurement; for instance, a 10 2/3-inch man's foot wears a cowboy boot in size 10, while a 9 1/3-inch woman's foot needs a size 7. Consult a men's or women's boot width chart to convert the width measurement in inches to a boot width letter ranking, ranging from a very narrow AAA to a super wide EEE. Find your boot size in the vertical column, then your width measurement in the corresponding horizontal row. A D is a medium-width boot for men, and B the average width for women. Complete the process for each foot separately if you're getting a pair of custom-fitted boots, as there may be slight variations in left and right foot size. Take your foot measurement late in the day, because feet swell as the day goes on. If you're not comfortable taking your own measurement, ask an employee at the boot store to do it for you. If your feet have two different measurements but you're not ordering custom-made boots, go with the measurements for the larger foot. Always try cowboy boots on before buying them. They should feel a bit snug -- a new pair of boots naturally takes a strong tug to pull over the foot -- but shouldn't squish your toes. 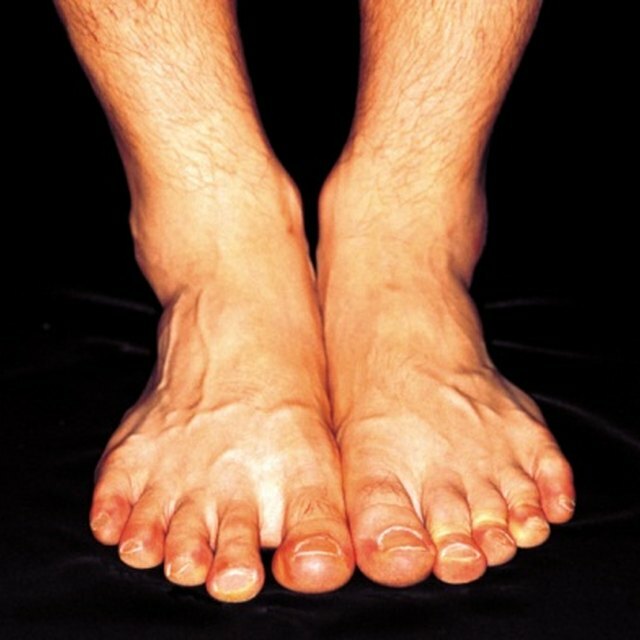 When you walk, your toes shouldn't slide forward in the boot. A little heel slippage, however, is normal at first; over time, the leather at the heel will soften and become less slippery.